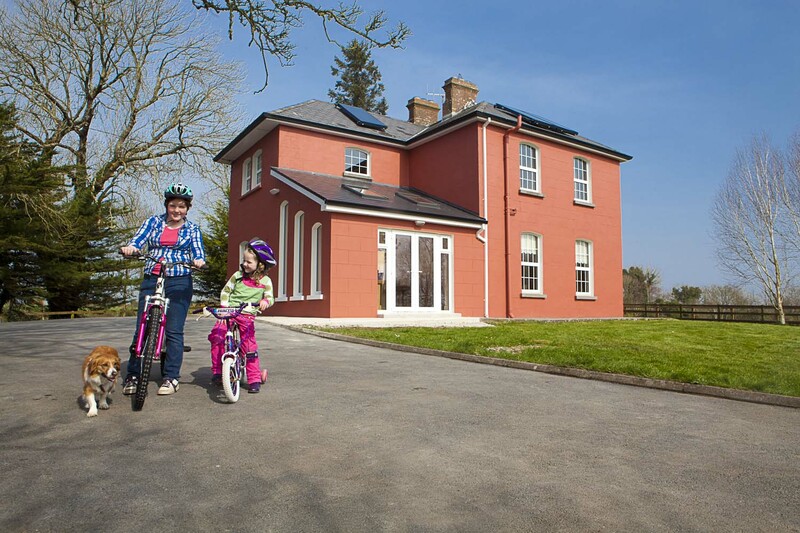 Located in Gurteeny, Co. Galway, on the shores of Lough Derg, Lakeview Holidays is the perfect getaway for those looking to enjoy peace and serenity in the west of Ireland. We offers exceptional rates for our self catering family holidays and have great facilites available to you included in our prices. For those who enjoy the great outdoors we have bicycles, kayaks and fishing rods available for your use. There is a free playground for children only 5 miles away, at Woodford. We have a working farm for your your children to enjoy and to get up close with our farm animals which include, pigs, chickens and donkeys. There is many great walking trails in the vicinity to explore and for those who enjoy Irish music and a bit of ‘craic’ you can visit the Cornerstone Pub. We are located within walking distance of Lough Derg and close to many historical towns and locations including Portumna and Mountshannon.